Ever dream of assigning "homework" for your teacher? Now is your chance! Bring your friends and family to Lindeneau's McTeacher's Night on April 17 between 4:30 -7:30 pm at the Edison McDonald's, located at 1966 Route 27. The teachers and staff from Lindeneau will roll up their sleeves, put on an apron and assist McDonald's with taking orders and serving your favorite McDonald's food. 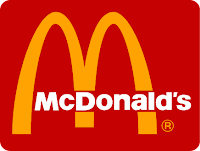 A portion of all counter sales (not drive thru) from McTeacher's Night will be donated to Lindeneau School. Teachers: to sign up click here. 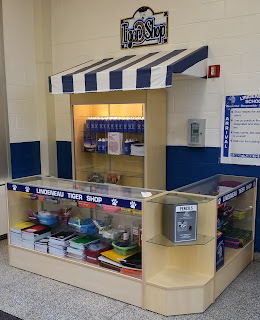 This Friday, April 5th, the Tiger Shop (School Store) will be open for students to shop for a variety of school supplies such as notebooks, pencils, Crayons, erasers and scissors during the school day. Please send monies with students in an envelope marked Tiger Shop. See below for prices and additional information. Get your 2018-2019 Lindeneau Yearbook at early bird prices!! Don’t miss early bird pricing of $15 per book, available April 1st through April 15th. Cherish your Lindeneau memories forever by getting your full color 2018-2019 Lindeneau Yearbook today before prices go up!! Please complete attached order form and return it with $15 to your homeroom teacher. PLEASE NOTE: All 5th grade students will receive a complimentary copy of the yearbook, courtesy of Lindeneau PTO. Approximate delivery date is June 10th. Lindeneau PTO's April newsletter is now available online. Your resource for information on whats happening at Lindeneau in April and beyond. View / Download the newsletter PDF in its entirety here.